The European Poker Tour is underway and the most important circuit on the old continent already set another important milestone in Barcelona. This was the 100th stop and a record number of players attended the main event and just as many sat down at highroller tournaments. Millions of dollars were awarded to the most successful players and those who finished outside the money or were unhappy with their results, will have plenty of opportunities to improve them. Action resumes with new stops all over Europe, including the highly anticipated London EPT, so by the end of 2014 the impact of the European Poker Tour will be tremendous. These results will show clearly in the Global Poker Index leaderboards where all the best poker professionals are featured. This is one of the most respected competition and the numbers provided by these guys are regarded as the most reliable in the industry, which explains the surging popularity of the GPI. It looks like they are ready to expand even further and the best proof is that the company signed a partnership with Fantasy Poker Manager. The European Poker Tour also jumped on the bandwagon and with so many important names riding the same boat, all the parties involved are expected to benefit greatly. The popularity of virtual sports is on the rise and this applies to both European and American markets, so there is plenty of room for online poker to grow in this niche. 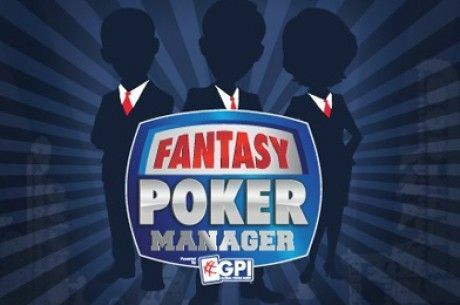 In order to attract as many players as possible to their virtual poker games, the Fantasy Poker Manager announced that the winners will be lavishly rewarded. They will receive thousands of dollars and also free entries to some of the most important live national events and several European Poker Tour tournaments. The first were awarded for the Barcelona stop and even more are expected to be gifted away over the next couple of months. The most generous package consists of a massive €2000 that the players can use as they see fit to participate in all national tours. This only applies to events organized under the EPT brand but even so there are so many competitions to choose from that the paradox of choice should become self-evident. PokerStars has also joined this partnership and that’s why one of the requirements for participants is to include one or more PokerStars Pro in their roster when playing fantasy poker manager games.